It’s back to school! Excuse me while I do the happy dance. Not only does back to school excite me for obvious reasons, but it also signifies the beginnings of fall. It’s still a few weeks away, but fall is definitely in the air! So that means… apple season! 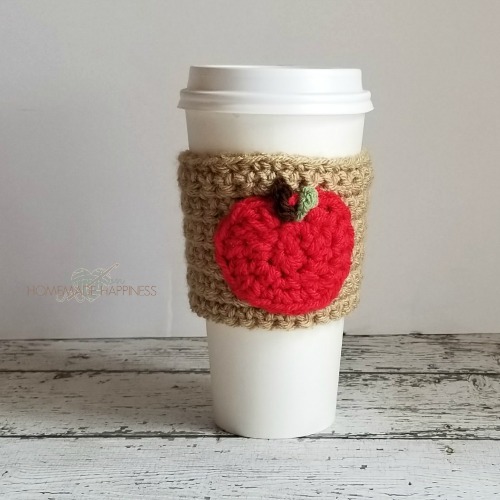 This cute coffee cozy is made to fit a standard paper coffee cup (like you’d get at Starbucks, McDonald’s, etc.). 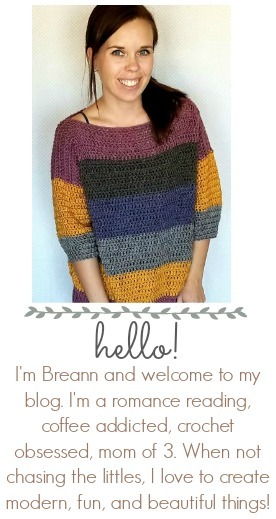 It would make a cute back to school gift for the teachers in your life. Bring both ends together whip stitch them together. Fasten off, sew to apple as a leaf, weave in ends. 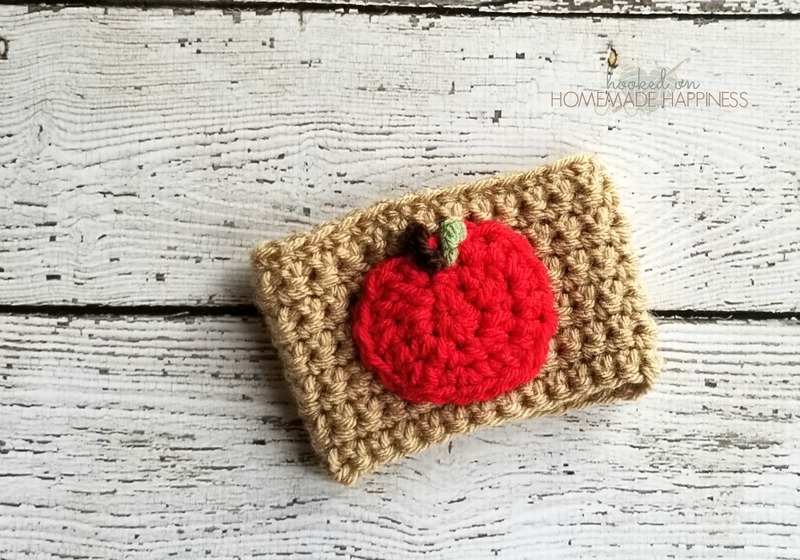 Sew the apple to the coffee cozy.